St. Patrick’s Day playlist anyone? How about two? Because the only thing better that one St. Patrick’s Day playlist is two! We couldn’t decide which workout and playlist we wanted to do more in advance of the corned beef and cabbage. So we decided not to decide! Instead, we made one grouping that’s a standard playlist and another to fuel your best interval workout. Both lists combine classic Irish pub songs and more popular music by Irish artists. Leprechaun-approved, and we hope you’ll like them too! If you have suggestions for songs we should add, post them in the comments and we’ll give them a listen. In general, we’ve tried to respect the guidance to keep the beats per minute around 100-120 for rowing, with some latitude to bump it up when the band really gets going. Mostly though, we think you’ll find that music that’s too fast will result in bad rowing and fewer meters than you might expect. The main list, St. Patrick’s Day Row, is set up so you can “press play” and get a few minutes of warmup before getting into a generally higher-tempo workout for about an hour. 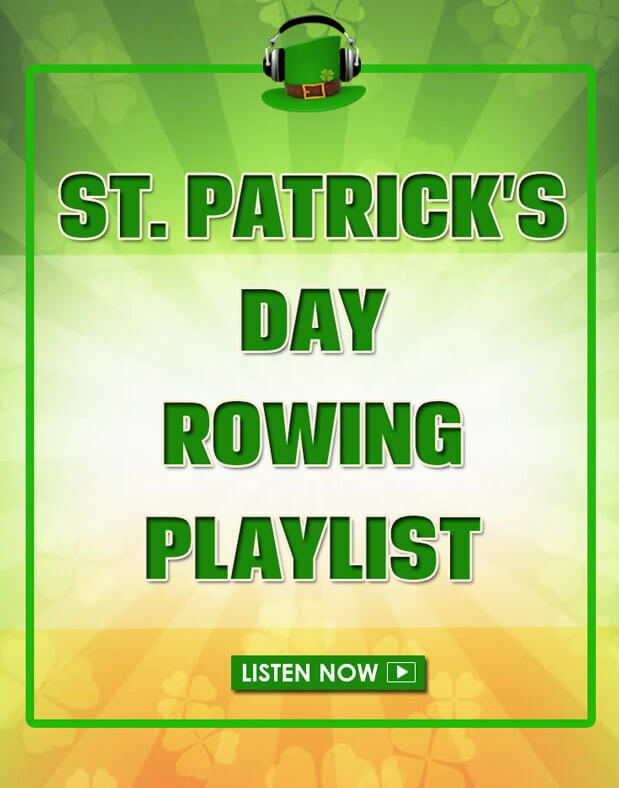 We also created a separate playlist, St. Patrick’s Day Intervals, that allows you to do about a half hour of intervals of 3 minutes of work with equal amounts of paddle rest (no-pressure rowing). If you want a workout where you can just hit “play” and go (starting with a bit of warmup), that would be the one. Try both and let us know what you think! Want some killer workouts to go with your new St. Patrick’s Day playlist? Download our free #GetFlywheelFit workout set. 11 workouts to keep you sweating, and guaranteed to bring you luck! ERIN GO ROW! This is a killer workout especially if you have the Concept2 rower, SkiErg and BikeErg. No problem though if you don’t have all three, just use whatever you have it’ll still be a great sweat. If you have access to a TRX strap you can use that in place of the ring rows and do a TRX row instead, which is a great option to scale the move to any ability level. To be clear, in between the 3-minute cardio intervals, you’ll do descending amounts of reps on each round. So it’s 10 reps of everything on the first round, then 8 on the second, and 6 on the third. The fact that you’re dropping down in volume means you might be able to up your effort on the Concept2 rower or other cardio. Or try increasing the weight on at least a few of the reps as you go through the workout. We usually have a couple of options of weights of kettlebells for the goblet squats, for example. As soon as we fail at one weight, we immediately set it down and pick up the lighter weight to keep going. With only 3-minute rounds on the Concept2 rower, you should be able to push hard (whatever that looks like for you). You want to be at a point where you could give one- or two-word answers to a question, but you’d rather not. A racing start will help you get the flywheel moving quickly so you can make the most of your interval. Want more interval workouts like this? We have lots you can grab for free in our Workouts section. Or, if you’re ready to level up to a done-for-you training program, check out #MeterMonster and #FlywheelFrenzy, our 4-week rowing workout programs. Try this and let us know how it goes in the comments. We can’t wait to hear! When was the last time you took a rest day or an even longer break from your workouts or your regular routine in another way? Like the kind where you literally DO NOTHING, and you planned it that way. If your answer is “Uhhh, I don’t remember my last rest day,” or “training breaks are for wusses,” this is your invitation to rethink that. I can get pretty competitive about pretty much everything, but I recently called for a timeout and did some on-water rows purely for fun. Our summers are so short in the Upper Peninsula, I just wanted to slow down for a minute and enjoy it. If you could be inside my head you would know that that’s an enormous change. Normally I’m all about having some sort of a workout to do, or at least a bunch of drills, whether I’m training for a race or not. But by slowing down and NOT having a goal in mind beyond getting some fresh air and enjoying being on the water, I had an amazing, mood-boosting time and got to take in the scenery, including watching an eagle float overhead and seaplanes take off. Point being: You miss a whole lot of life if the way you’re living is all grind, all the time. Life’s too short for that, friends. 1. As we say about training, “You progress in the rest.” The workout is the stimulus for change, but the recovery IS the change. That’s when the muscles are resting and growing after being stressed. Something to keep in mind: The general rule is you need at least 48 hours to recover from a workout, with full recovery not seen until 72 to 96 hours later. The older we get, the longer the recovery time, by the way. 2. 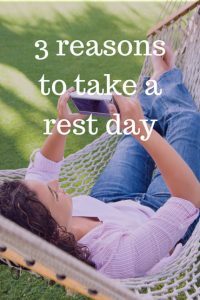 Rest helps you keep your mental edge: A little time off from the gym will do wonders for your performance when you do get back to it. 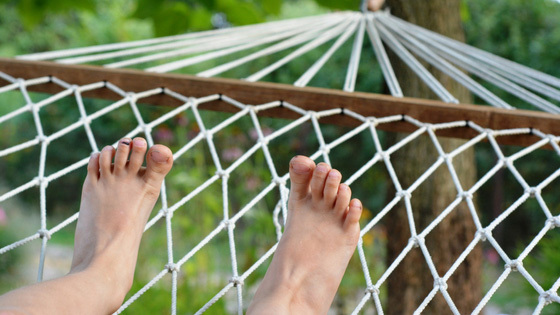 By the way, “a little time off” doesn’t have to mean a rest day or two a week. If your mental or physical performance is really suffering, maybe you need to take a break of a week or more. 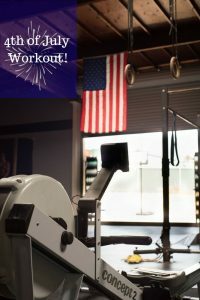 Unless you’re training for something right now (and even if you are) we promise the world won’t come to an end if your weight or erg session becomes a day at the pool, an easy breezy walk or bike ride, or an afternoon in a comfy chair with a good book. You’d have to do nothing for two weeks or more before you’d really feel the effects of any deconditioning. So kick back and relax, the world’s not coming to an end. 3. Rest prevents injury: By resting you prevent overuse, and that in turn prevents injury. Want to lose ground? Tear a rotator cuff or pop your Achilles. Then you’ll REALLY be resting. We worship “the hustle” in the United States, often to our detriment. If all you’re doing is going, going, going, whether in your workouts, your work, or some other aspect of your life, you will eventually break down. Bet money on it. 1. SLEEP IN – Nothing helps you restore your hard-worked muscles like some good shut-eye. 2. BUMP UP THE PROTEIN – It’ll help you rebuild that muscle you damaged in your workout. 3. HYDRATE, HYDRATE, HYDRATE – We need hydration ALL the time, not just when we’re working out or being active. Don’t worry about some scientific calculation of how much to drink. If you’re peeing clear, you’re good. So consider this your hall pass to go find a hammock or a cozy couch and a big old glass of lemonade. We’ll see you there! Questions? Thoughts? Hit us up in the comments, we’ll get back to you asap … probably from the couch. Want more ideas like this? Subscribe to our newsletter, we send out fresh workouts, technique tips and thoughts to row by every week! 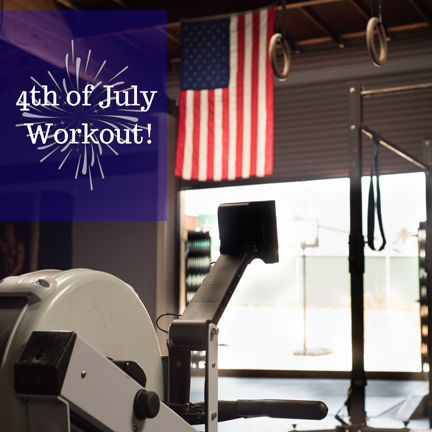 Need a Fourth of July workout? Try this one. Plenty of meters, but you’ll also get in and out fast, and sweaty. Here we offer you two versions, pick the one that best fits your fitness level and how hard you want to work. And, in the spirit of independence, you can choose whether you want to do this on the rowing machine, SkiErg or BikeErg. Want more workouts like this? Download our FREE #GetFlywheelFit workout set to burn fat and build strength in 25 minutes or less. Do them at home, at the gym, or with your rowing class. However you do it, you’ll get in, get out, and get on with your day. 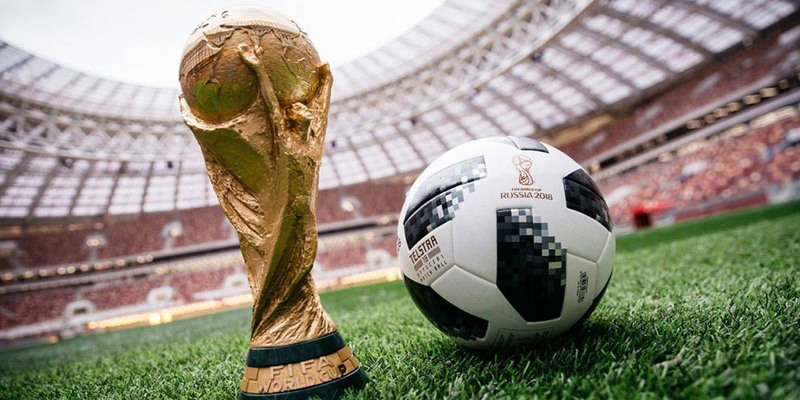 The2018 World Cup is here! So many hours of world-class soccer, SO many hours waiting for something to happen. Why not set up your rowing machine in front of the TV and do a World Cup Workout? We know some sports fans who are happy to row stead-state through the whole event. But a typical soccer match runs around 100 minutes with stoppage time, and, unlike almost any other televised sporting event in the US, no commercials to break it up! PREGAME: While the previews are on, set up your rowing machine with a straight view of the TV so you don’t have to crank your neck upwards or to the side. After the national anthems, start off with easy rowing for 6-10 minutes at 20-24 SPM. THROUGHOUT THE GAME: Once you’re in your zone, hold a steady pace at 22-24 SPM or lower, but make sure you keep it controlled and don’t get too sidetracked by the TV in front of you. Remember, hold good technique! 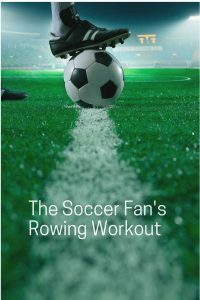 UP YOUR WORLD CUP WORKOUT GAME: Once the action begins, every time something happens – a yellow card, goal, injury, etc., – do the following things to keep it interesting. PENALTY KICKS – Handle in the hook and do 5 bodyweight squats during each kick. 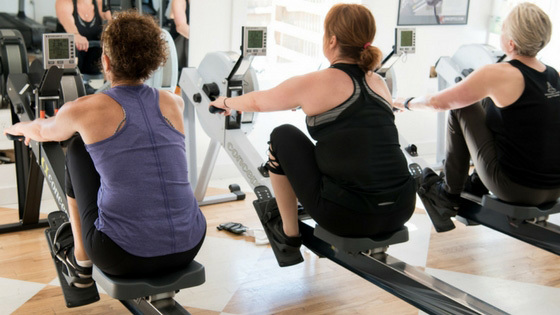 In between kicks, get back on the erg and row, but don’t strap in (This is a good opportunity to practice rowing with your feet out of the straps). HALFTIME – If you need a break, put the handle in the hook and record your total meters. That’s the number you want to try to beat in the second half of the game. Bathroom break if you need it, or grab a healthy snack like a banana or an energy bar. Make sure to stretch and get back on the erg for the start of the second half. If you don’t need a break, just keep rowing! Do 6 rounds of 1 minute hard, 1 minute easy, then just row easy for any remaining time. Remember to get fluids before the start of the second half. Great job, soccer fan! Hopefully, your team took the WIN! Got suggestions for other ways to spice up the World Cup Workout row? Pop down to the comments and share! Need a structured workout plan to help you get your fitness headed in the right direction? 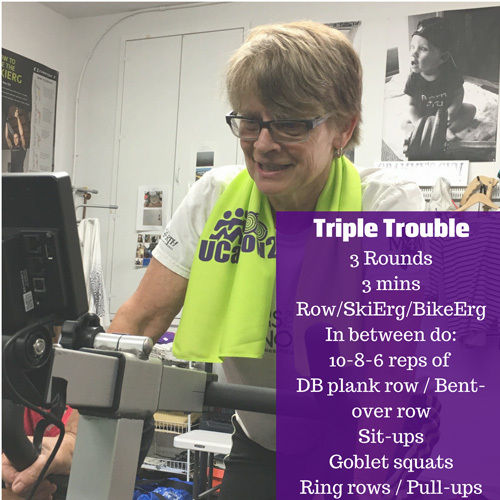 Check out our rowing workout programs Meter Monster and Flywheel Frenzy. 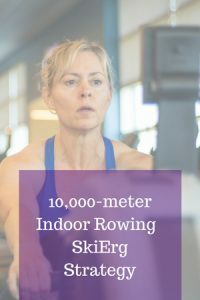 What’s your 10K erg strategy? Do you have one? If you’ve ever done one of these endurance workouts, you know that they’re a huge mental challenge, almost more than a physical one. It’s best to go into them with some sort of goal, especially since simply gutting it out over the course of a long distance is HARD, and often unproductive. 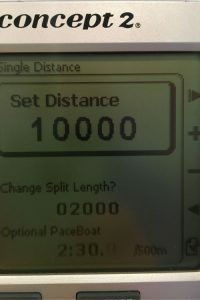 It’s an interesting distance, 10,000 meters. Less than a quarter of a marathon but 5 times longer than a 2K. Among the endurance distances it’s relatively doable and a great place to get started with longer rows or skis. But it’s not a distance you want to go into without a plan, even if your goal is simply to do it as quickly as possible. For most people and depending which machine you’re on, you’re looking at spending something on the order of 45 minutes to an hour working in that “you can talk but you’d rather not” range. Not everyone’s idea of fun. If you just “jump on and go,” the machine will punish you. Especially the Ski Erg. Even more especially if you’re doing the Concept2 Tour de SkiErg, that crazy series that has people skiing a different distance every week throughout February. There are several ways to approach putting together your 10k plan. You can base it off existing online records, your own past times, or simply set a survival strategy of mind games to get through. Whatever you do, approach this as a challenge, one that you will be proud of accomplishing. Or at least saying it’s done! Start by heading to the Concept2 website and checking the 10,000-meter rankings for your age group and gender on either the rower or SkiErg.That will give you a sense of what to aim for if you have a big goal in mind. You can also look there at the world and American records in case you want to go really big. When you’re in the rankings you’ll be able to see what sort of times people are logging for the current ranking year. So in the example below, the current average 10k row time for women in the 30-39 age group is 47:40.1. Now look under the Percentiles header on the right. You’ll see the range of times for people in this age group and below them the corresponding average split or pace. 10K times in this age group range from 50 minutes plus down to just over 36 minutes (the current leader in the rankings). That gives you an excellent sense for how long it might take you to go the distance. Think you ‘ll do it faster or slower? 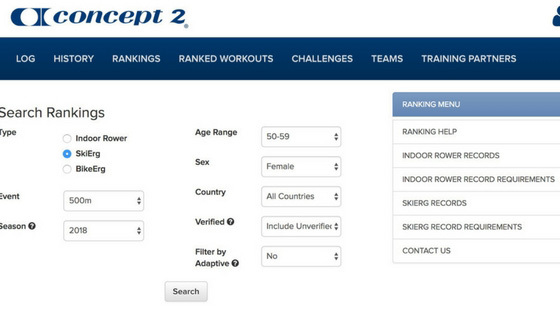 Head over to the Concept2 PACE CALCULATOR to crunch the numbers on what that might look like. Another option is to check your ONLINE LOGBOOK for your previous time(s) at this distance. How are you feeling? Ready to PR? OK! So now we know what target you’re trying to hit. How to stay on pace? 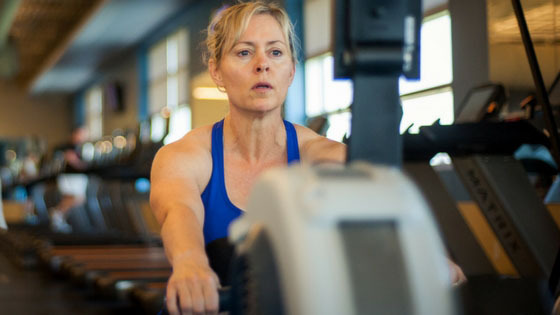 One of our favorite 10K erg strategy tips is to use a pace rower, skier or rider. Decide beforehand if you’ll be more motivated by trying to keep up with the pacer, stay ahead of it, or keep even. Adjust your pacer’s split time accordingly. Everybody’s different – Do you like to be ahead or do you like the chase? For some of us, there’s nothing better than leaving that little guy in the dust. For others, it’s all about the thrill of trying to catch him. From the main menu hit Select Workout > New Workout. Set your distance, then set your pacer time under Optional Pace Boat (or Skier, etc.). Hit the check box on the right.4. If needed, hit the Change Display button until the pacer screen appears. NOTE: You cannot reset the pacer during the workout, so think carefully about how you want to use it before you start. Once you get the flywheel going, lock in your pace and keep your breathing under control. Don’t let adrenaline get the best of you. Have a best-case and worst-case split or finish time in mind. Know what your goal is, but also have a bar below which you refuse to drop. If you go out too hard or too fast, the machine will punish you. If that happens, give yourself a few hundred to 1000 easier meters to recover, then get back in and readjust your finish goal accordingly if needed. For some, the Zen of the flywheel is all they need in their ears to get the job done. For others, a really good playlist is clutch. When you hit the last 500-1000 meters, empty your tank. Give it all you’ve got! If your “10K erg strategy” or goal is simply to survive the distance, think about staying at a pace where you can talk but you’d rather not. Never mind carefully calculating a target finish or split time. For more ideas on how to “make a game of it,” head over to our post about 10 indoor rowing workouts to kill 10K. It’s a sweet feeling when that monitor ticks over to 0 meters left. Once you’re done, make sure to hydrate right away with water or a diluted sports drink and stretch. Depending on your usual workout length and whether this was a big effort for you, you might need a post-workout snack or protein shake. We’re partial to easily digested whole foods like bananas and sweet potatoes with a good hit of protein to help rebuild all those muscles you just used. Don’t forget to record your time in your logbook, and give yourself a high five for a job well done. Or better yet, hop over to our RowStrong Facebook group and share your success! Questions? Comments? PRs? Post ’em down below, we’re excited to see! Not gonna lie, when people walked into the Bodyshop and saw a version of the workout above, their faces dropped. 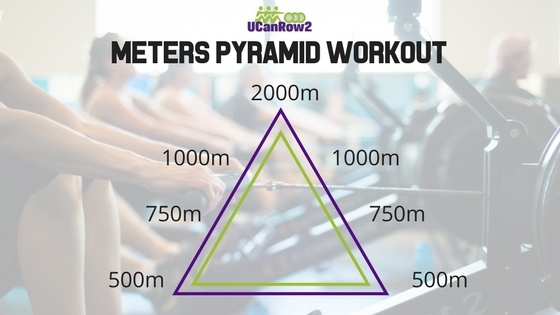 500m – 750m – 1000m – 2000m and back down the pyramid. Seven total rounds and close to 10,000 meters when all is said and done. Endurance rowing. Character builder. “Ugh,” (said some). When you’re used to rowing intervals of 500m or just a couple of minutes that’s A LOT of work. Some of us would rather stick hot needles in our eyes than row or SkiErg that much! Endurance rowing workouts are both a physical AND mental challenge, they take a longer time to do and they can be suuuuper boring. That’s IF you don’t have the tricks we’re about to give you. whAT’S SO GREAT ABOUT ENDURANCE ROWING? Endurance building: Monster-meter workouts like these help build cardio endurance that gives you a good base to work from, even when you’re more focused on shorter, high-intensity workouts. Cross training: Steady-state or interval rowing is great if you’re cross-training for another sport or working on your general fitness. One-stop workout shopping: Rowing-only workouts are one-stop-shopping. They work virtually every muscle on every stroke, without the need for any other equipment. Meter munching: It’s the best way to grab lots of meters in a rowing competition like the Concept2 challenges. For some people, simply rowing the distances would be challenge enough. Visit our RowStrong group on Facebook and you’ll find people who relish rowing 10K daily just for fun. Endurance rowing workouts are as much a mental challenge as they are physical. The key to making this kind of workout not just doable – but dare we say it, FUN – is to break up the meter pieces and do each one differently. It’s also a great time to work your technique. Be creative! Here’s how we did this one at the Bodyshop. As you’ll see, it was actually eight intervals, so if you do the workout in the photo you get a bit of a break. Ha! 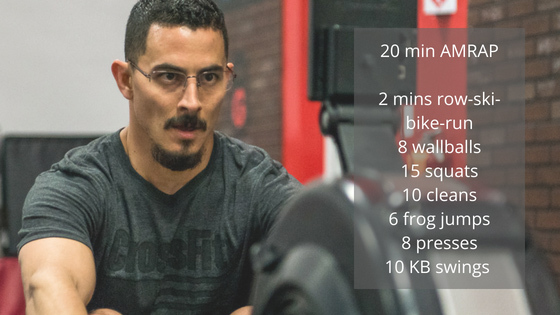 Start rowing, or set your monitor for the intervals below (intervals>variable on a Concept2 monitor), with 1:30 paddle rest in between each. Keep your strokes per minute between 22 and 28. Vary your effort throughout – as suggested below – but challenge yourself to stay within your split or pace goal for each distance. For example, your 500m split should be faster than your 2000m split since the 500 is shorter and you can be more intense. 1000m – Technique focus: Begin to build power and find your 70-80 percent effort level. Focus on key technique elements like hip swing, cycling the hands quickly through the finish, keeping the handle straight through the stroke, etc. 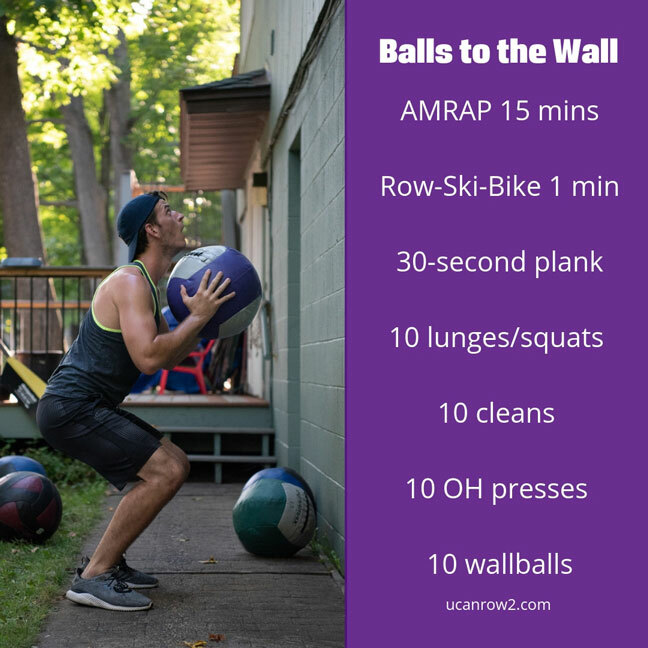 Recovery is critical after a workout like this, particularly if higher-volume workouts aren’t a regular thing for you. If you’re not already, develop and follow a good post-workout routine. That way you’ll be sure to repair cells and tissues that were damaged during the workout, replace nutrients and remove wastes. STRETCHING – We will often do a 10-15 minute round of yoga after a workout like this. It helps us calm down, drop cortisol levels and generally hit the rest of the day refreshed and ready to go. We love the Down Dog app for this. It makes yoga easy, even for us non-yogis. Failing that, it’s a must to do some general stretches that target the areas most taxed in rowing. REST – Adequate recovery is essential to avoid overtraining. That includes both leaving enough time between workouts and getting sufficient sleep (7-9 hours per night is best). Do you have favorite endurance workouts? Share them in the comments … please! We all need a good workout. Row on! !